By forming relationships with those in the fishing community and working closely with the fish markets in Boston, Schneider’s Seafood + Meats secures A+ quality whole swordfish in a variety of sizes. We can provide your restaurant with swordfish loins at almost any time of the year by purchasing and shipping them directly from New England. The swordfish is all line-caught and shipped quickly to ensure it’s still fresh once it reaches its destination. 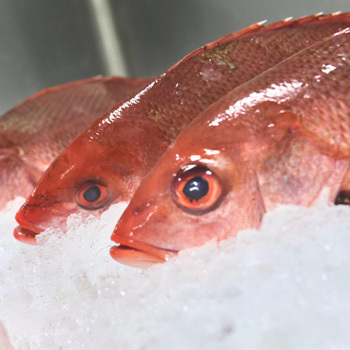 Schneider’s Seafood + Meats offers many types of snapper to those interested in adding it to their menu. Two of our most popular varieties are Lane and Silk. Lane snapper has both a delicate flesh and a flavor that won’t overpower the senses. It’s just flavorful enough to intrigue those who enjoy eating fish. On the other hand, silk snapper is a fish that’s lean and moist with a texture on the firmer side. It has a distinct nutty flavor that pairs well with almost any seasoning. We source snapper from many different countries and ship them fresh to our customers. We can provide restaurants interested in ordering grouper with both black and red varieties. Black grouper has a flesh that’s firm and lean, and a flavor profile that is on the milder side. It’s known to be a great source of vitamin B6, vitamin B12, phosphorus, and more. Conversely, red grouper has a unique flavor that tastes almost like a cross between halibut and bass. It’s not as firm as black grouper and has a mild taste with a hint of sweetness. 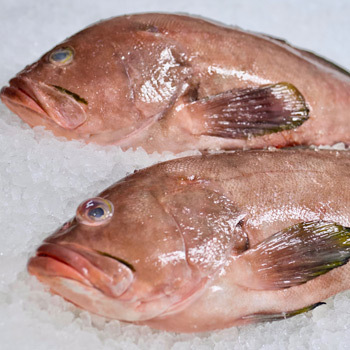 Both types of grouper are great choices for restaurants looking to add these popular varieties to their seafood menu. Customer demand has increased for fresh seafood as more and more studies tout the health benefits of eating fish. 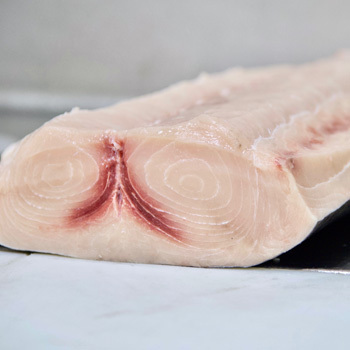 Schneider’s Seafood + Meats can provide your restaurant with the very best options from the Atlantic Ocean, including swordfish loins, snapper fillets and grouper fillets. Give your customers the best and freshest fish from the Atlantic Ocean by trusting Schneider’s as your wholesale Atlantic fish supplier!